Coltsfoot is in bloom now – 9th March 2017. It is an Irish native and a member of the aster family – their asterness is obvious in this rather poor header photograph. I didn’t realise the bees visit this plant but here is the evidence – note the lemon yellow pollen loads. Coltsfoot is unusual in that the flowers come out before any leaves are visible. The heart shaped leaves come along later and are not at all like a dandelion. 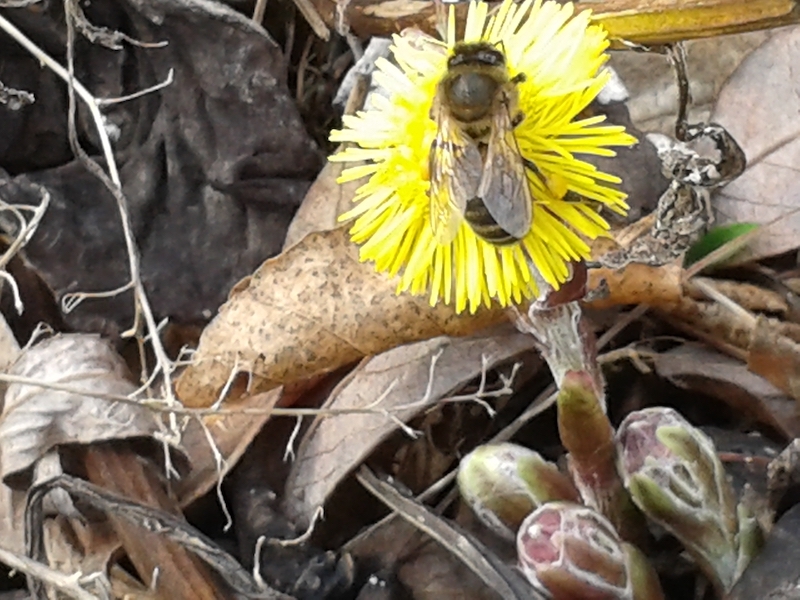 It is thought that Coltsfoot flowers are a cure for coughs.